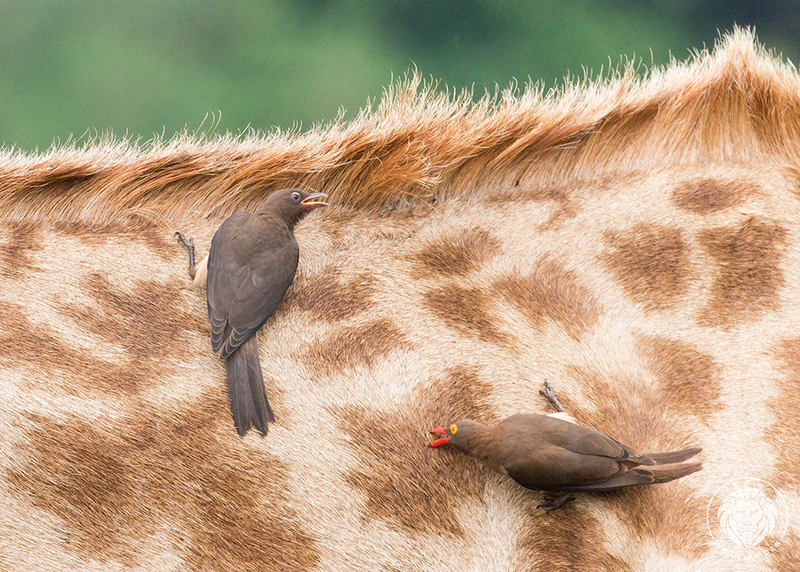 The Red-billed Oxpecker (Afrikaans name Rooibekrenostervoel) is a common resident of the savannah and woodland areas, normally found around game and cattle. Feeds off of parasites and blood. We found these cleaning an open wound on a buffalo at Mala Mala Game Reserve. This bird is smaller than a dove and removes insects from the skin by a scissors-like action or by plucking them from the skin. They also remove wound tissue. These birds are not afraid of the animals that they feed off of and they clean everywhere, eye, ears, skin. They build their nests in the hollow of a tree. They draw attention to themselves by their loud hissing calls uttered whilst feeding on an animal or while in flight.